You can see why chrysalis comes from a Greek word for "gold," the same one that gave us chrysanthemum ("gold flower") as well as chryselephantine ("made of gold and ivory"), as in "a chryselephantine statue" or, why not, "a chryselephantine vocabulary." So a chrysalis, literally a "gold sheath," is a shell or casing in which an insect is developing; figuratively, it's any state of protected early development. The metaphorical power of chrysalis reminds me of the words below. Can you recall them? 1. A ca____ce is something that reminds you of a turtle's hard, protective outer covering, such as someone's attitude or something's appearance. 2. Something go____er is so thin, light, and delicate that it reminds you of the stuff spiderwebs are made of. 3. Eph____a are insects that live for a single day, or any things that last for a very short time. 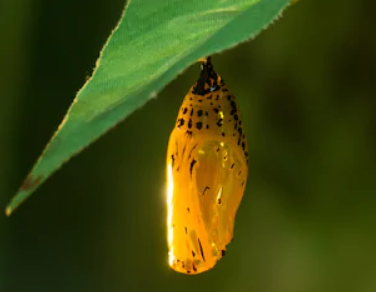 A chrysalis is a state of protected early development, either literally (such as the chrysalis of a caterpillar about to become a butterfly) or figuratively (such as the chrysalis of the college years). "a chrysalis," "one chrysalis," "several chrysalises." For an adjective, take your pick: "chrysaline," "chrysalidal," or "chrysaloid." An alternate noun is "chrysalid," which you can also use like an adjective: "a chrysalid state." You know how we use the word "metamorphosis" as a figurative synonym of "transformation"? With "metamorphosis," we're comparing someone or something to, say, a caterpillar that morphs quite dramatically into a butterfly. So, say that some experience, some state or stage or period, or some place (often a school) is a chrysalis for someone, or talk about how someone remains in, emerges from or breaks out of her chrysalis. Though his college was ultra-liberal, he managed to emerge from that chrysalis with his religion intact. 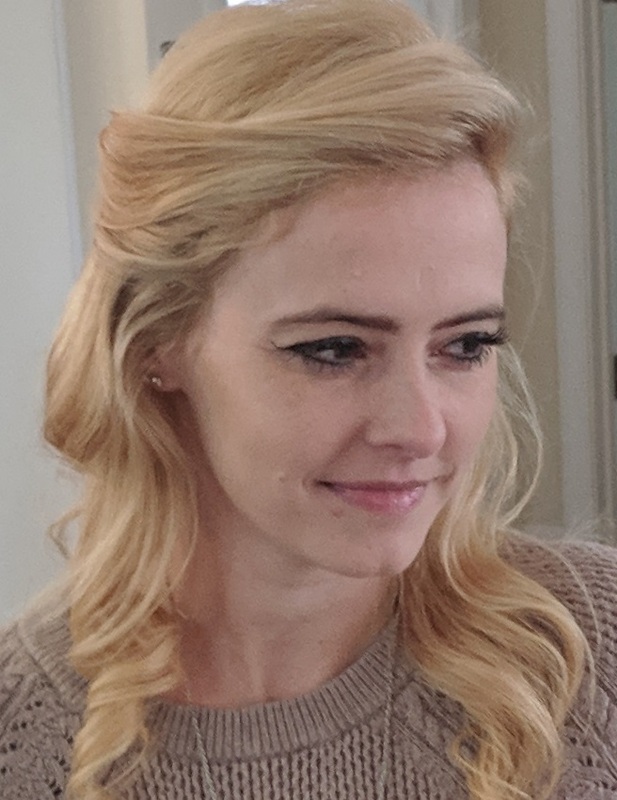 "She’s an early adopter in chrysalis form — curious, unconcerned with convention, seemingly willing to gamble on something unproved, ready to buy." Explain the meaning of "chrysalis" without saying "state of development" or "early protective stage." Fill in the blanks: "_____ (emerged from, or is still resting in) the chrysalis of _____." Example: "Judging by her new lyrics, the singer is still resting in the chrysalis of adolescence." In fiction, what is the trope known as Incessant Music Madness? It's when a character goes berserk from having to listen to the same music over and over. For example, in Star Trek: The Next Generation, Worf smashes Geordi's lute after hearing him play it incessantly. In fiction, what is the trope known as Enmity with an Object? A. CHORION, an outer shell of an insect egg. B. IMAGO, a fully developed idea or thing, such as an insect. C. PARASITOID, an insect that depends on, and ultimately kills, another. 2. Not acting on it yet, she lets the idea _____ for a few days in a chrysalis.